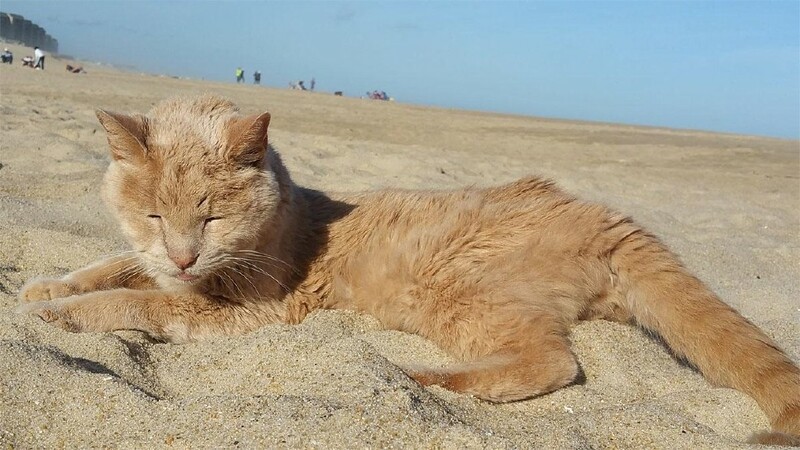 abc15 News 2 April 2016: When Tigger was 20, he was abandoned by his owner at a local veterinary surgery. Tigger was sad, lonely, and scared. Staff at the surgery had no idea why he'd been abandoned at such an old age. They posted his story on Facebook where it was seen by a woman named Adriene Nicole. She'd been thinking of getting a second cat to accompany her cat, Stuart, and instantly knew that Tigger was the one. When Adriene went to pick Tigger up he was 'skinny, matted to the skin, and drinking a gallon of water a day.' Vets found that he was in serious stages of kidney failure and had a tumor the size of a golf ball. Adriene knew that Tigger wouldn't have long left - So she decided to make sure his final few years were the best they could possibly...read on.